These days LinkedIn has become a vehicle for employers to search for people to interview and possibly hire. Recruiters search the Internet, and most specifically LinkedIn, to find good people and invite them to apply for a job even if these people were not actively looking for work. For job seekers, that means showcasing your skills and telling your story in a compelling way on LinkedIn can open doors for you in a way that creates a better chance for success in the hiring process. When an employer finds you, instead of you banging on the door of the workplace, the employer is more psychologically ready to want you to succeed in the hiring process. There is a bias in favor of people who are not out of work and are currently gainfully employed. These are just the kinds of people employers would like to poach. But just because you are found by a workplace that would like to vet you, does not mean the job is right for you no matter how flattering it is to be asked. One of my clients, a freelance video content producer, was recently contacted by a recruiter working for a high profile nonprofit. The recruiter was hunting for the right hire for a full-time in-house producer job. The nonprofit thought it needed someone who would be good at “telling the story of the nonprofit” and this freelancer had done a great job of showcasing those skills in her LinkedIn profile. However, when the freelancer spoke with the recruiter by phone the job description became much clearer. The workplace was looking for someone to shepherd the many freelancers already shooting videos for the various branches of the organization, but the job itself did not include the role of shooting or editing video. The producer role for the nonprofit called for administrative, organizational, and communication skills rather than production skills, editing, or an artistic eye in the filming process. My client called to see if she should take this job. It appealed to her because of the stability of the job and the benefits. But she realized that it did not play to her strengths. We went back to the template she had created when we worked together to identify the right career direction for her. She had identified a number of essential elements for happiness in her work life. Some of the top elements were these: the freedom to come and go and be physically independent of a work setting, the chance to develop her skills as a film maker, an entrepreneurial venture with the ability to support her current life style, and the opportunity to learn more about the complex camera equipment she had invested in to launch her business. She had in fact already launched her business and was becoming successful by building her brand. All of this was very exciting for her. She would be giving it up if she took this full time job. After a brief review of her career goals, and thinking again about the reason for the essential elements she had identified, she was easily able to make the decision not to take this job. With a template to guide you, it gets easier to avoid the temptation of taking a job that sounds great until you vet it for your own needs. 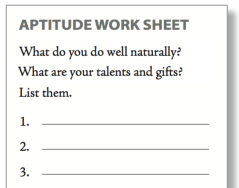 Work on your own template and figure out your essential elements. The template tools you can use are in the downloadable Appendices of my book Job Quest: How to Become the Insider Who Gets Hired, which you can find on my website www.nielsencareerconsulting.com. I was at a fundraiser talking with an energetic young woman, I’ll call her Brittany, as we nibbled cheese and crackers. She was there with her mother who had just confided in me that she was concerned that her daughter had been searching for a job for months and had not gotten a single interview yet. Knowing that I teach people how to find jobs, she asked me to talk with her daughter. “How are you searching?” I asked her. “What kind of job do you want?” I asked. In just a few seconds of talking with Brittany I understood a lot about why she was struggling with her job search. Can you figure it out? If you have been reading my blog posts or my book Job Quest: How to Become the Insider Who Gets Hired, you probably already know the answer. But let’s go through three steps together to try to help Brittany have a more productive path to land a job. It is crucial for Brittany to have a better idea about what she wants to do. Starting a job search in the right direction is important. Think of it as an industry, realm, kingdom, or neighborhood you want to find your way to. If you start on any journey but you don’t have a goal in mind, it is easy to get into a state of hopeful wandering but that doesn’t guarantee you will get to a good destination. It also creates difficulties for people who are trying to aid you in learning useful information that will help you find your way. Telling people you will take anything puts the listener in the role of your career counselor. Most people don’t know how to help you figure that out and don’t have the time to do that work with you. Brittany needs to figure out the right industry and job within that industry that fits with her aptitudes (talents), interests, and where there is market need (good opportunity for work or workflow). If she can do that, she can get more help from the people she networks with to find the right job. How can she figure this out? Brittany can do a number of assessment exercises. There are two helpful ones, AIMS and Essential Elements, that are in the appendices of my book and well as posted on my Web site. They can help her develop a template that will function as a guide for identifying the right career direction. There are also assessment tests such as the Highlands Battery and Strong Interest Inventory and Myers Briggs that help some people know themselves better. And she can also use networking for informational purposes. That kind of networking is different from the more targeted networking I term rapid relationship and trust building, where the focus is on having a series of vetting meetings with people in the desired industry. Informational networking would help most if Brittany has already created an Essential Elements template. Then, as she learns from people in the field of interest what it is really like to work in that industry or that particular job, she can check what she is learning against the template that defines what she needs from her job/career. Informational interviews are really the best way to research what it is like to do a job. They are interviews of people who actually do or recently have done the job. Brittany should ask open ended questions to learn about the field or job. Here are a few open ended questions that can get someone talking about what it is really like to do the work they do. As she gains information she can keep checking her template to see if the fit is likely to be satisfactory for her given her personal needs. Once Brittany has figured out a potential goal, the next step is to articulate her dream and dilemma, or goal and problem. If she can tell this to people it will help them to provide the kind of information she needs. Here is an example. Let’s say that Brittany spends a lot of time on social media. She loves it! Facebook, Twitter and Instagram are her life blood. She also likes popular culture and understands how her generation thinks, shops, and is motivated. She would love to have a job where she could be paid to engage in social media for a company she likes. Guess what. There are jobs like that and the field is a hot, relatively new one: social media manager or coordinator. And almost every single business, nonprofit, association, and would-be celebrity needs this help. Does she have the skills to land this kind of job? Maybe she ran the social media campaign for her sorority in college. Maybe she spent her summers managing the social media for a fundraiser for a nonprofit. These experiences, whether paid or unpaid, can be the building blocks of her advocacy when she talks with people about her skills and experience. They can be front and center on her resume along with other evidence that she is a good student and hard worker. How should she talk with people about the job she is looking for? How should she articulate her dream and dilemma? How about this? If Brittany can talk in this way at the fundraiser, she will mine more useful information and set herself up for vetting meetings with people who might actually want to hire her. If not, she can connect her up with more people to meet. This process is the kind of rapid relationship and trust building I talk about in Job Quest. As I write about in Job Quest, the people with the best chance of getting hired are “insiders,” meaning people known and trusted by a workplace. You can gain the trust of a workplace by actually working there and doing a great job as an intern, for example, or as a summer hire. But another way to do it is to engage in brief vetting meetings with a series of people in the industry you are trying to penetrate. In Brittany’s case, if she can find people already engaged in social media work, she will be able to tap into that industry’s grapevine in the city where she lives. Brittany also has the added advantage that Twitter seems to be becoming a source for job postings, and a social media manager job is one that is likely to be tweeted about because Twitter is an information channel used by people in social media. Even though she has that information channel, however, Brittany needs to work hard at meeting people in person. Relying solely on social media can be a disadvantage. More magic happens in person. A lot more magic! The reason has to do with the way human beings communicate and feel connected to each other. Something amazing – like 90% – of communication is body language, and that includes tone of voice, eye contact, posture, and even smiling, or not. Rapid relationship and trust building is really about connectivity, and the meetings are actually mini-interviews with people sizing you up, developing a sense of trust in you, and perhaps imagining you on their team. These meetings are also a chance to hear the gossip, create authentic friendships, and become the insider who gets hired. When the job seeker also expresses gratitude by giving back to the person who met with him or her, it contributes to a sense of goodwill and willingness to engage, support, and help the jobseeker in return. What goes around comes around. Gifts of information, support, help, connection, and small tangible gifts don’t have to cost much at all other than time, but really help people to have a positive view of the job seeker instead of feeling used by him or her to get a job. So let’s go back to the fundraiser and pretend that Brittany has done her job search homework. How will she act differently this time? She will actively seek out and search for people who do social media or know people who do social media. She will be like a heat-seeking missile in terms of her intentionality. What would she say to me? What else could she do at this fundraiser? This is a fundraiser for a successful nonprofit. Somebody must be doing the social media for this group. Okay, who would that be? How about one of the three women at the front table who are handing out the name tags and checking the list of guests? Small groups, companies and organizations usually need staff to wear many hats. Isn’t it likely that one of those women at the front table is doing social media and marketing and some administrative roles as well? So she could find out. She could engage them one-by-one in a short conversation and set up a time to meet for coffee next week if any of them are in the field or know people in the field. If she could do this, Brittany would be working her quest by taking AIM, articulating her dream and dilemma, and understanding rapid relationship and trust building to uncover more jobs and opportunities. She would be finding her way to the castles out there and creating more relationships that could make her the insider that gets the job. There are three big mistakes that many jobseekers routinely make that hurt their job searches. Don’t make them! Too many jobseekers plant themselves in front of their computers and spend hours and hours hunting for and responding to online postings. Those job postings look so juicy and exciting! Even if the skill set is not a perfect match, maybe you will get a chance to tell them how your skills translate! Only 2.1 to 4% of jobseekers actually get hired through online portals like Monster.com and others. Eighty percent of jobs are not even advertised. Fifty percent of applications are rejected without ever being reviewed by a human being. If you feel you are sending your resume to a black hole, guess what? You are right. That is what you’ve done. 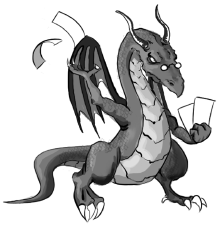 Or, as I talk about in my book, Job Quest, you sent your resume to the dragon (software scanner/ human resource staff) that guards the castle (workplace) whose job it is to keep you from the key keeper (the person who is actually in charge of hiring). Why is this happening? Partly because people who create those online job postings have trouble defining the key skills and background that you should have. And partly because you can’t sit down with a computer and explain how your skills actually do fit, even though you used the “wrong words” in your resume or other application materials. In addition, it is very hard for an employer to know who you are and what you bring to the table just by looking at a piece of paper with your background on it. Trust is a big factor for employers. And trust is created when people know you and like you and have seen you in person and, better yet, have seen you in action in a job-like setting and liked your performance. Employers who hear about an experience others have had with you are going to be more interested in you for their workplace. Here’s the answer: People who are known and trusted by a workplace and who come to the attention of a workplace through a trusted contact, ideally with an endorsement. Those are the people who have a better chance of getting hired. When you have these elements working for you, you have a powerful insider advantage. How do you get that advantage? Perhaps by volunteering, or doing an internship, or being recommended by an internal source. It’s not that daddy pulls the strings, because you need to have the right skills to be hired and to be successful once you are hired. But if you have the right skills, the workplace is busy and needs help, your background is a fit for the culture of that workplace, and you can come to the attention of the workplace through a trusted contact, those four elements can get you insider status and a significant edge over the competition. Job hunters often use Facebook and LinkedIn to try to create relationships and get endorsements that they hope will help them to land jobs. They contact former classmates, or alumni, or use LinkedIn to identify people who are known to friends of friends, and ask them if they will put in a good word for them. If you already have an authentic friendship or relationship based on working together in the past, or playing on a team together, or helping out to put together an event, then those experiences can be a basis for a personal endorsement. Absent that, if you ask for an endorsement, you put that person in an uncomfortable situation. How can she vouch for you if she doesn’t know you? Facebook and LinkedIn are wonderful resources to start or create relationships, and they are also great for research. They are especially helpful for “cyberstalking,” by which I mean identifying people in an industry in which you want to work and figuring out how to connect up with them. Where is the interface of your interests with theirs? Do you share an interest in 5K races? Volleyball? A learn-at-lunch series? Alumni activities? And once you establish that there is a shared interest, can you set up breakfast, lunch, dinner, or coffee to tell the person your dream and dilemma and brainstorm with him to learn more about the marketplace where you are trying to find work? The person knows you, likes you, knows your work and work ethic and knows someone inside the workplace and is willing to speak up on your behalf. Six elements. In addition, you have to have the skills and experience level that matches the needs of the workplace. More magic happens in person. A lot more magic! I give examples of how to find ways to meet people in person in my book, Job Quest. If you have what a workplace needs and you can figure out how to meet in person with a trusted contact, your chances for getting hired improve. This brings us to the third mistake that jobseekers routinely make. Once jobseekers realize that they have to get out from behind their computers and meet people in person to get endorsements, they often start out the wrong way. They typically ask everyone they know, ”Have you heard of a job or an opportunity?” It sounds like the perfect thing to do, namely, to ask if people have heard about a job in the industry they are targeting. What’s wrong with this? The typical answer is this: “I haven’t heard of a job, but if I hear of something I will contact you.” End of conversation. Dead end. When you use the “J” word too soon, you miss out on six important things that make your search more likely to be successful. 1) You miss out on long, gossipy, rumor-filled conversations where you can learn about workplaces that need help and people who might be leaving to go to other places, giving you inside information about an opening even before it exists. 2) You miss out on learning about workplaces that are busy and growing. Those are the places that might need your help soon if not immediately. If you can get to meet the key keeper or a gatekeeper, you will be on the radar screen when the need arises. 3) You miss out on creating or deepening friendship. Authentic friendship is very valuable and can bring you inside a castle and past the dragon at the front gate so that you can meet with the key keeper. 4) You miss out on creating or deepening trust. Trust is very important for the potential employer who needs to know you will do a good job and be a good person for the already-existing team. 5) You miss out on rapid relationship and trust building vetting sessions. Those breakfast, lunch, dinner, or coffee meetings are actually interviews, mini-vetting sessions, that help you get behind the castle walls and into the inner sanctum of the castle, where you meet with people who are castle staff or people known and trusted by the key keeper who is in charge of hiring. 6) And finally, you get the “leper effect.” When you ask people if they have heard of a job or opportunity and they cannot help you, they feel bad about it and they tend to want to avoid you until you have landed your next job. They are likely to keep you at a distance because they do not have the time or inclination to look for a job for you. In addition, you don’t want to become a pest, so you keep your distance too. Instead of friendship, you get the opposite result. These are three big mistakes jobseekers make – and you want to avoid. But how do you conduct a productive search? What works better? I will talk about that in my next few blog posts. 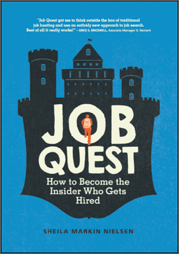 The answer is also in my book, Job Quest: How to Become the Insider Who Gets Hired. Every workplace has people who can help you get past the castle gates and get you recognized by a hiring manager. Here’s a story from my practice; it’s an example of using rapid relationship and trust building to find gatekeepers to promote a job quest. It comes from a client who was a litigation associate at a large firm. He had graduated from a top-tier law school with excellent grades and had been an editor for his law school’s law review. After graduation, he went to a large firm where he was assigned to the litigation group. He was expected to be an aggressive and confrontational lawyer, but he was more of a reasonable, thoughtful person by nature. Appellate work, with its emphasis on research, writing, and oral argument, was far more enjoyable for him. In our work together, it became clear that a career move into a position with the federal government might be a good strategic and personal career decision for him. He looked at usajobs.gov, the website for federal employment, and learned of a number of job prospects that fit with his interests in appellate-based work. He prepared his applications. He then launched a concurrent search for classmates who were working for the federal government in the Justice Department. One day while he was looking at one of the websites for one of the federal agencies he was interested in, he thought he saw in the background of one of the workplace photos the somewhat blurred image of a classmate from law school. He contacted his friend by e-mail and, sure enough, his friend was working at that agency. When he told this friend about his interest in a job at the same agency, his friend told him to shoot his résumé over and he would hand deliver it to the person in charge of hiring. He did that, and within about two weeks he was asked to come to Washington, DC, for an interview. He was hired by the agency a few weeks later and was very happy with that decision. You could say it was lucky that he saw his friend in the photo, but it is more accurate to say that he had a hand in creating his good luck. He did that by actively hunting for people he knew in the village behind the castle and maximizing the chance when he did find someone he recognized. In addition, since he was also a bright, personable guy who had a good reputation in law school, he was able to get an endorsement from this friend who was connected to the keeper of the castle keys and also able to bypass the dragon.